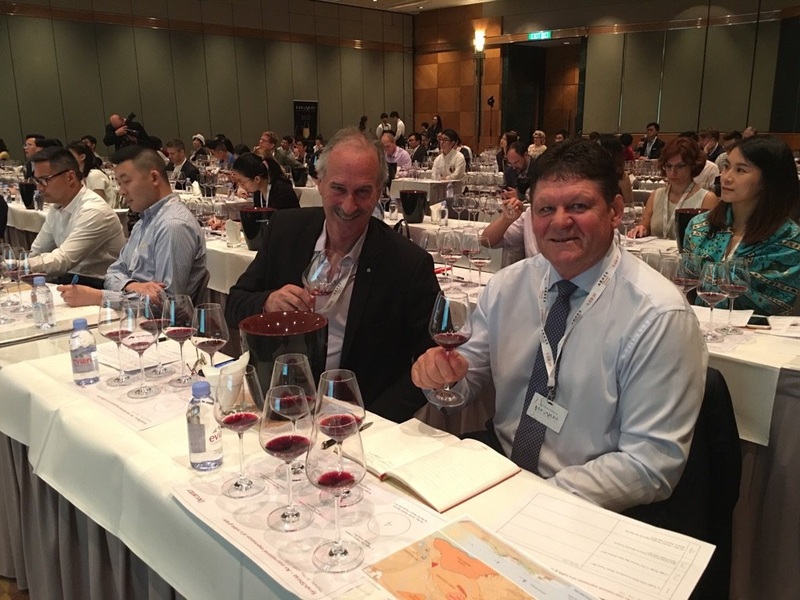 Recently at Vinexpo Hong Kong, we celebrated Syrah/Shiraz Day with a jam-packed programme of presentations and tastings. Entitled Syrah/ Shiraz – an international expression of a noble grape, it was during this presentation and looking at Syrah in the company of Cabernet Sauvignon and Pinot Noir that I again realised its status as a noble variety. From a terroir perspective, it was clear that internationally the focus is on cooler growing conditions with slow ripening. We had a look at Syrah from Craggy Range, Hawkes Bay, New Zeeland, Betz Family Winery in the Yakima Valley, Washington State, USA and even examples from Italy and Chile. It is also something we see in South Africa. Even although some of the top Shiraz originate from the warmer Swartland area, the best-performing vineyards are often planted in the cooler areas such as the slopes of the Riebeek Valley’s Kasteelberg enjoying cooling breezes and lower night temperatures. Since 2011, for La Motte we have also changed from calling our wine Shiraz, to Syrah – indicating the cooler climate style. Another aspect that I found really interesting, is the role Syrah played to establish a new focus when it comes to regionality. And while a week or two ago, I debated the importance of regionality when it comes to consumer insight and demand, I do think it is very important when it comes to brand positioning and quality. It is especially the ability of Syrah to adapt to different terroir without compromising quality, that makes it such a special variety. Take as an example the Guigal family. They stress the importance of vineyard selection and present various single vineyard wines – different styles, but without compromising quality or the focus of the brand and family name. And they do that with Syrah. Penfolds is also an example of a family brand who managed to bring the variety of regionality without losing quality or brand focus. “For over 170 years, three distinct styles have underpinned the Penfolds winemaking philosophy: single vineyard or single block, single region or sub-region, and multi-region or multi-varietal blending.” These include the Magill Estate Shiraz and 2010 Bin 170 Kalimna Shiraz, although the focus has not been limited to Shiraz. Staying an exclusive family brand while incorporating a wider regional perspective is an interesting topic for another day, but for now, I conclude with my renewed appreciation for Syrah as noble grape. Featured image: With Mark Norrish, tasting the international Syrah line-up.